A fabulous pen with a unique double anodised pattern that makes it stand out from the crowd. 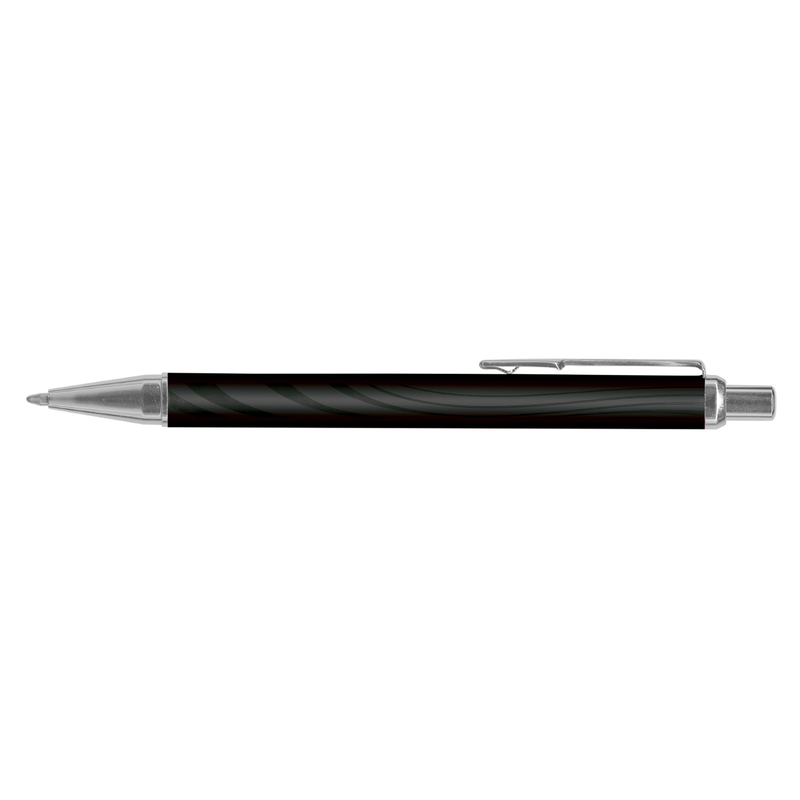 Put a breath of fresh air into your next promotion with some of these fantastic pens. 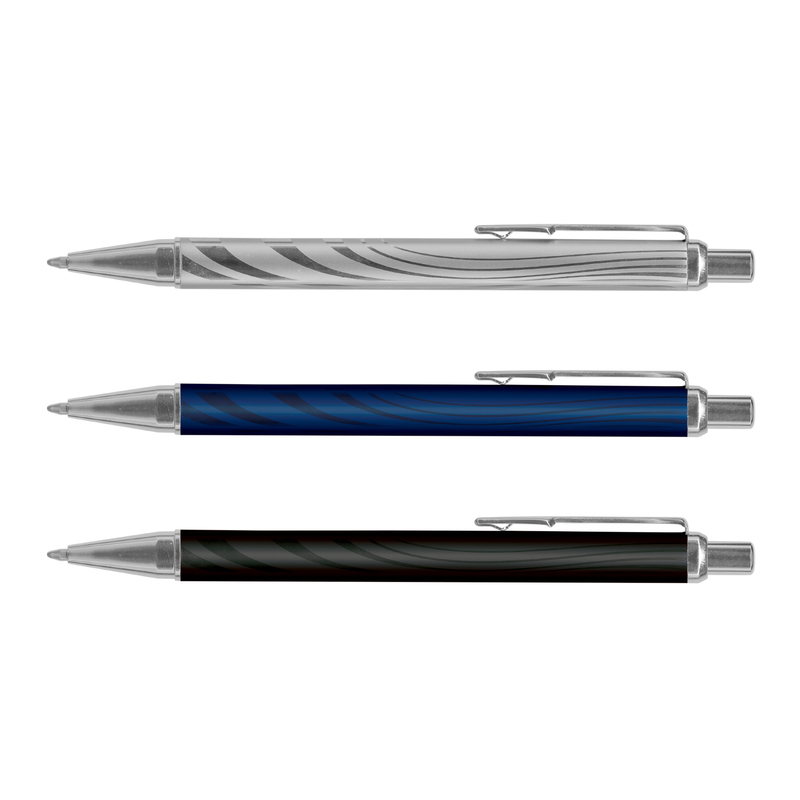 They come in your choice of 3 corporate colours and can be branded with either a print or laser engraving. The pen is made from aluminium and features a unique double anodised pattern in the barrel with shiny chrome accents. 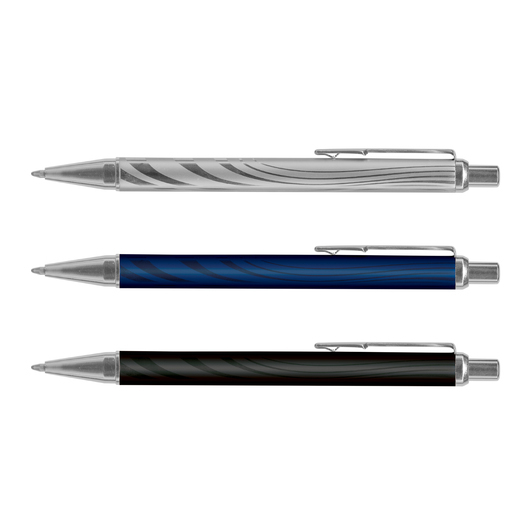 They come with 1200m of black writing ink (blue available for additional charge). 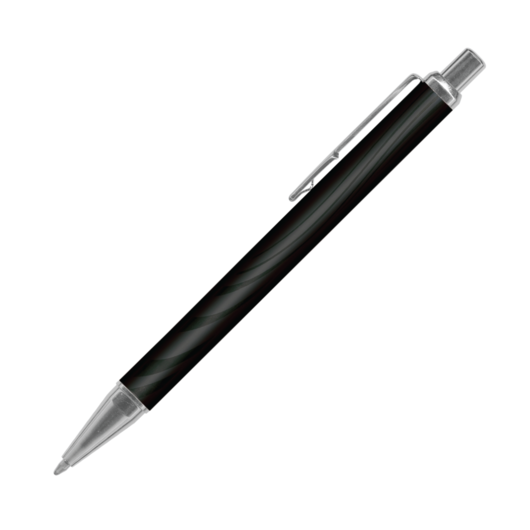 They laser engrave to an oxidised white colour and can be presented in an optional velvet sleeve or gift box.